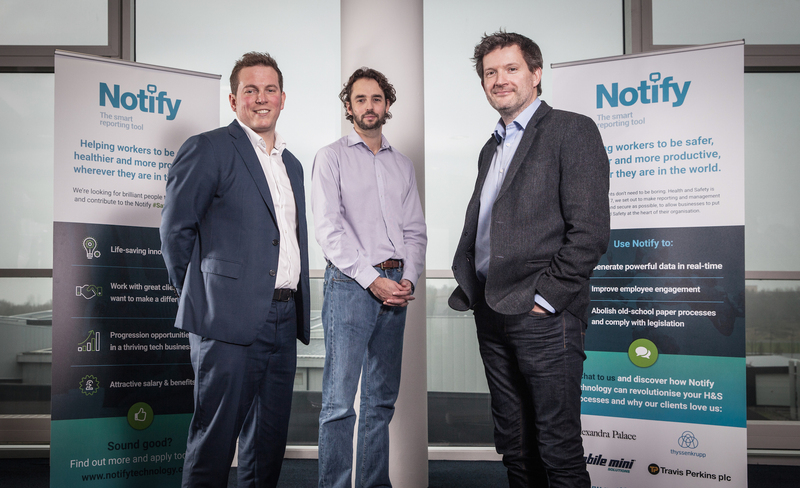 Notify Technology, a Newcastle, UK-based company which has developed a new health and safety software platform, secured a £500k funding. 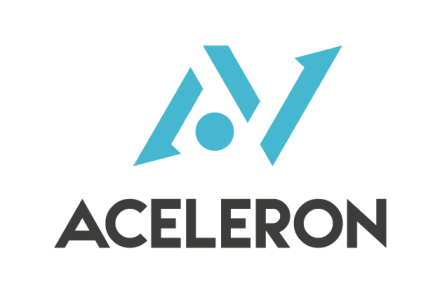 Backers included the North East Venture Fund, supported by the European Regional Development Fund and managed by Mercia Fund Managers. The company intends to use the funds to step up its sales and marketing activities to attract new customers, and is expected to create significant jobs in the next five years. 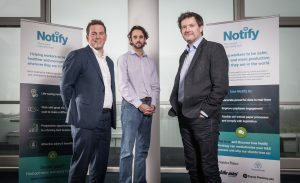 Founded in May 2017 by Duncan Davies and Andy Dumbell, Notify Technology provides a platform that allows organizations of any size to manage worker health and safety. 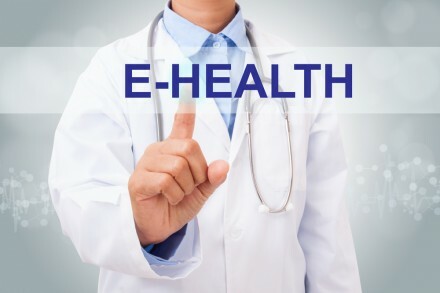 The software enables individuals to record accidents and near misses on a mobile device, and for their managers to track outcomes, actions and trends using real-time dashboard reporting. It also provides a free near miss reporting app ‘NotifyIt’ which aims to help businesses worldwide to improve their health and safety culture, and which has already been downloaded in 58 countries around the globe. 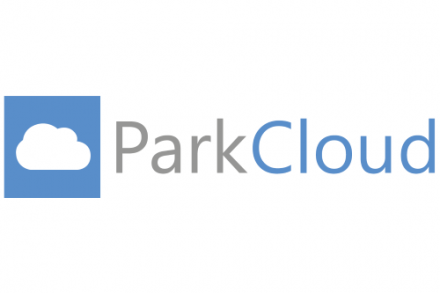 It is already used by clients including Travis Perkins plc, Thyssenkrupp, Bournville Village Trust, Alexandra Palace and Pinewood Studios.